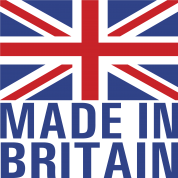 Staylock Ltd is the leading U.K. manufacturer and supplier of premium quality lockers with a 10 year guarantee – the most secure lockers available in the U.K.
All our lockers are designed and manufactured in the U.K. The unique design and manufacture process ensures Staylock lockers will function in all environments for over ten years. This is why we have become the market leader for school lockers. We offer a bespoke service, we will manufacture to your requirements, in terms of size, colour, locking options and additional features such as integrated charging units and lighting. Many schools are now opting to rent the lockers to students to generate income. Call or email with your requirements. Staylock manufacture bespoke sports and leisure centre lockers. 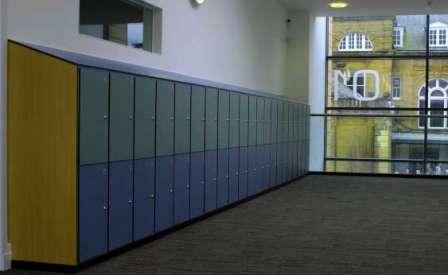 In 2008, we were contacted by a local sixth form college that was being refurbished and needed good quality lockers…. 'I would say that the superior build quality compared to other lockers makes them as maintenance free as you can get. I would insist on any future lockers being purchased from yourselves'. - Martin Houguez, Site Manager, Grainville School, Jersey C.I.